Christmas: An Invitation to Sovereignty | Dr. Z. In the thick of this most wonderful time of the year as we are, it’s easy to get overwhelmed with special foods, special music, special readings, special parties, special services, etc. But as we reflect on our theology of the nativity, all the accoutrements of Christmastime start pointing to God, and every bit of tinsel and tune begins to serve as an invitation to worship. An invitation that resonates throughout the Christmas story is an invitation to sovereignty; an invitation to see the mighty hand of God guiding the course of history and our lives too. After 400 silent years, God suddenly is carrying out a new stage in his work. With angelic announcements to Zechariah and Mary, Luke 1 shows God preparing for a very special birth. Then, mentioning Caesar Augustus, Luke puts these events against the background of Roman history. In 44 BC, Julius Caesar is murdered and his nephew comes to power. Brilliant, prudent, and ruthlessly ambitious, Octavius uses his vast abilities to consolidate the power in himself, completing the dismantling of democracy begun by Julius. Under Octavius the Roman Republic becomes the Roman Empire. Octavius then becomes the first emperor of Rome, the ruler of all the known world, and is addressed as “Lord Caesar Augustus” – the emperor with the attributes of God. Emperor Augustus rules the entire known world, delegating to governors or client kings the management of individual territories. One of those territories is Judea. Early in his reign Augustus appoints a certain Herod as his vice-regent over Judea, naming him “King of the Jews.” The primary function of a regional ruler like Herod is to collect tax revenue for Rome, and at this task Herod excels, milking the people of Judea with high taxes, delivering vast revenues to Rome, and maybe keeping a little for himself. As the years pass, Augustus and Herod exchange visits and enjoy a close relationship. Herod is given progressively larger territory and increased power, and as long as tax revenue keeps flowing is allowed to do pretty much do what he wants in Judea. There is no need for Augustus to have any direct involvement, because Herod the Great has it under control. But, right as the NT begins, the situation changes. After thirty years, the relationship between Herod and Augustus suddenly sours. The cause, essentially, is that Herod goes nuts. Aging, his paranoia takes over and he keeps killing anyone he thinks poses a threat. Herod murders his favorite wife, and murders two of his own sons. The later murder of Bethlehem infants is in keeping with Herod’s pattern: anyone he thinks poses a threat is gone. Augustus follows all of this from afar. On a regular basis, letters arrive from Herod designating a new heir because he’d murdered the last. Also regularly, people from Judea, including Herod’s family members, travel all the way to Rome and tell Augustus he has to do something about his mad king. Finally Augustus intervenes. The purpose of a census is to make money for the government, through taxation. You find out how many people live in a territory and what they own, so you know what the territory is worth for the sake of taxes. 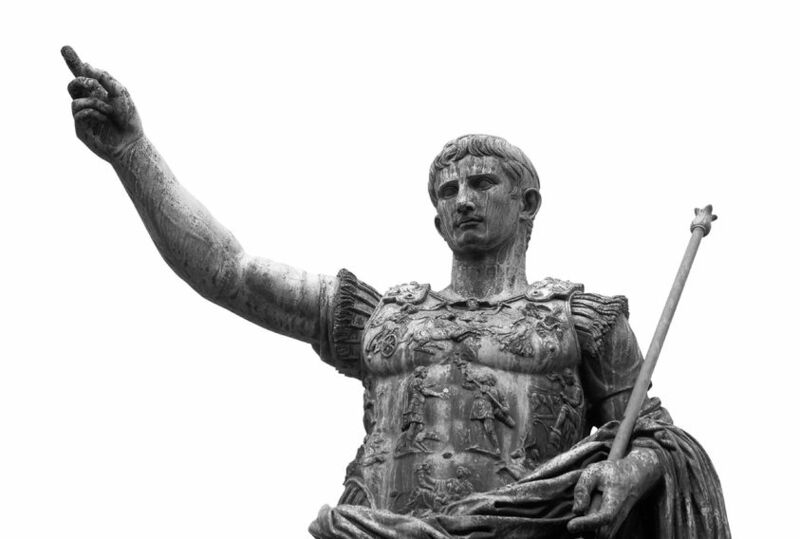 During his reign, Augustus took censuses in other places (that’s the point of 2:1 – he counted the whole world). After 30 years of taking Herod’s word for it, given his new doubts, at this precise moment the emperor says, “I need to find out what’s going on for myself.” So Augustus orders a census. Meanwhile in Nazareth, Joseph and Mary are newly married (cf. Mat 1:24), she’s “showing” more and more, the dates don’t add up, nobody’s buying their story about angels and immaculate conception, and life is becoming more and more miserable. The Pharisees would later accuse Jesus as “born of sexual immorality” (Jn 8:41). The persistence of this slander three decades later argues for its newsworthiness at the time. Living in that small town, Mary and Joseph’s lives had been built around membership in community. Now, they were estranged from the community. The wedding party was not well attended. Comments in the marketplace were cruel. Maybe people refused to trade food and provisions. Probably Joseph’s work suffered. After all, you could always call a different carpenter, one with less drama. They were likely banned from the synagogue. So when Caesar’s came, and Joseph was called to Bethlehem, it was an opportunity. The need for Joseph to register in Bethlehem implied his connection to property there (remember, the census was about taxation). Most likely either his parents or grandparents owned some land to which he would be a legal heir, and this needed to be recorded appropriately. So Joseph almost certainly had family in Bethlehem. Mary wouldn’t have been required to go, as women had no legal status. The journey would not be easy: a trip of 80 or 90 miles with steep vertical ascent. Four days walking under normal conditions, no doubt it would take longer for a pregnant woman, donkey or no donkey. But it seems like the young couple saw this as an opportunity for them. They could get out from under the oppressive situation in Nazareth. And maybe in Bethlehem things would be different. Maybe Joseph’s grandmother, or sister, or great aunt would take care of them. They could join the young marrieds group. The scandal wouldn’t be known to everyone as it had been back in Nazareth. None of this was a surprise to God. He put all of these things in motion not weeks before but centuries before. He’s sending a ruler to deliver his people, and that ruler has to come from Bethlehem. That’s important, because not many people came from Bethlehem. It’s not like saying a king would come from London. It’s more like a king coming from Waco or Weaverville or Wanaparthy. But one king had already come from Bethlehem: David, the greatest of all kings. This amazing baby, the angel had already said, would sit on the throne of the great king David (1:32). And so God declares that the one who would be in the line of David and receive the throne of David would share a birthplace with David. The corrupt tyrant, Herod, aging and losing his grip on his kingdom. 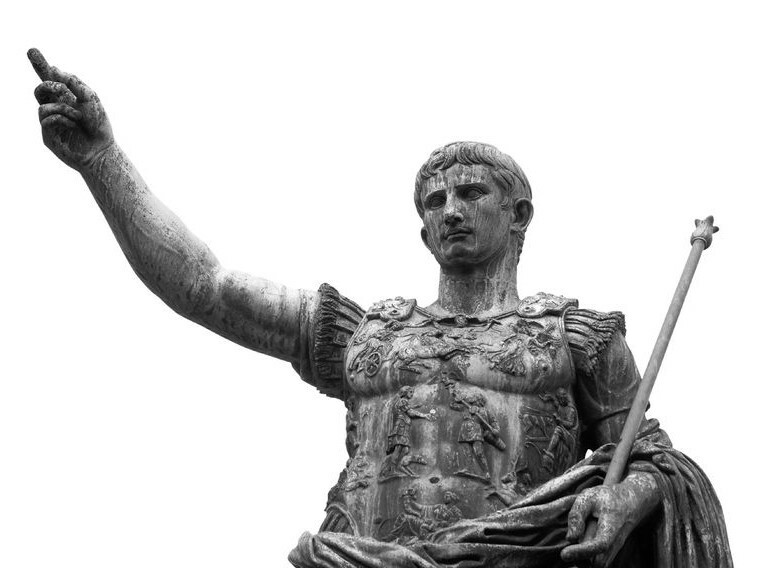 The most powerful man in the world, Caesar Augustus, breaking historical pattern to micromanage local issues. The gossiping tongues of Nazareth, having their fun and making life miserable for two young people. The nativity is the moment when it all comes together, when God’s plan goes forward and his prophecy is fulfilled and his king is born in his place. So now it all makes sense. What Augustus, and Herod, and the Nazarenes, and Brutus meant for evil… God meant for good. Because God is on a mission. He is going to bring blessing to all the nations of the world. He is going to redeem his broken creation. And not only can no emperor, or ruler, or boss, or neighbor thwart God’s plan, they by their opposition are unwitting servants of his plan. And you’re invited to this sovereignty. The same God at work in Luke 2 is at work in you, too. The same plan for the nations he is accomplishing in Luke-Acts then, he is accomplishing in us now. Let Christmas be a reminder to you that our sovereign God is working powerfully in the world and in your life today. And the answer is he’s right there. And what they saw as their discouragement was the very thread God was weaving into the tapestry of his beautiful plan for the world. He couldn’t possibly understand what I understood. That he wouldn’t always be a baby, that one day he’d grow up. And he needed to be able to walk, and run, and get around, and work. That the treatment was essential to him being able to live a happy and normal life. That by experiencing a few weeks of discomfort, he’d be cured for a lifetime. But my son didn’t get any of that. He just knew that suddenly he couldn’t move his legs and didn’t know why and it made him sad and he cried. And I knew I could make the crying stop. I could have those casts off in about five minutes. I could give him what he wants. But I loved him too much to do it. I cared so much about his long-term good that, because I knew what he didn’t know, I had to let him keep suffering for a while. And, there being no way I could make his little baby mind understand it, all I could do is hold him and cry with him, but not make it stop. I don’t know what you’re going through this December: loss of a relationship, or cancer, or a tough job situation, or anxiety for your children, or something else entirely. Whatever it may be, the Christmas story doesn’t give you nice explanations for your suffering, but it does reminds you that your father has a plan. Your father is on a grand and glorious mission, and in light of his plan everything will have meaning and purpose. Christmas invites you to believe in this God, to embrace his sovereignty no matter the pain of life. At the intersection of nativity and theology, hope is found. May we accept the invitation. Amidst the Christmas parties and Christmas programs may we find ourselves staggered by the knowledge of God, by the plan of God, and by the active love of God as he cares for this world, and cares for us. Thanks. And Merry Christmas to all y’all. Thanks Richard – Merry Christmas to y’all too!! I enjoyed reading this– it’s a great reminder of God’s sovereignty! Pingback: Christmas: An Invitation to Shame | Dr. Z.